Extensive Casio Watch Repairs and Casio Watch Services in the Metropolitan area of Los Angeles in Marina Del Rey. Our Company takes pride in your Casio watch and we always make sure your watch meets Casio factory specifications. We have all the Casio watch batteries in stock and can replace your battery while you wait. As our valued customer, it is important for you to understand that Casio watches need to be sealed properly if you want to maintain the original factory specifications for water resistance. If you use your Casio in the water often or you go diving with your Casio, we can do all your seals and water test your watch to assure you that your watch is still water resistant. Other Casio Watch Repairs we offer are complete cleanings of the wristband, cases, and push buttons. Sometimes the push buttons don't function properly due to dirt and grime. Our experts can disassemble your Casio, clean the buttons and oil them so they function properly. We also offer a variety of Original Casio watch bands and plenty of generic Casio bands in case the original is not available. 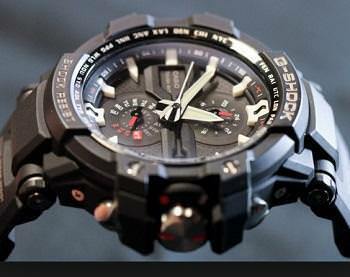 We do many Casio Repairs and Casio Servicing on G-Shocks, Dive watches, data banks, Baby-G watches, and many others. Additional Casio services we offer are band sizing, battery replacement, replacement bands, crown replacement, crystal replacement, crystal polishing, Casio gasket replacement, and many other services.